PJ Douglas Sands is a Brand Strategist, Event Planner, Journalist and Speaker with expertise in the Tourism, Entertainment, Events, New Media and Hospitality industries. Consistently referred to as a “taste maker” in the Caribbean Music and Event arenas with nearly eighteen (18) years of experience, PJ is often a contributor at international conferences on topics like music administration, small business strategies, branding for independent artists, and the implementation of technology for professionals. She has worked with Colin Cowie, and coordinated events and concerts for Lenny Kravitz, BeBe Winans, Jimmy Buffett, RKelly, NSync, Wyclef Jean and Tyrese Gibson to name a few. PJ Douglas Sands was a 2013 Bahamian Icon Award Nominee for Entrepreneur of the Year. Black Enterprise Magazine also recognized her as one of the Leading African Americans in Technology at the 2013 International CES in Las Vegas. Her articles and interviews on Entertainment, Special Events Technology and Business appear on DiRadioCast.com and the Caribbean Lifestyle Magazine Profiles98 with physical circulation in 22 countries including the US and Canada. PJ Douglas Sands is the founder of The DS3 Group of Companies. With offices and studios in Los Angeles, the Bahamas and Houston, DS3 is a global boutique agency focused on executing destination events and concerts, designing branding strategies for creatives, launching businesses and showcasing public figures. with an emphasis on the implementation of technology and new media in the digital lifestyle era. DS3 also handles publishing administration and promotional campaigns for numerous international songwriters, indie labels, producers and recording artists. Most recently, PJ has taken on a new consulting role in the Caribbean Hospitality and Travel Industry with The Bahamas Ministry of Tourism. In her capacity she heads the Business Development and Marketing Team in the Southwest USA helping to introduce the brand of The Islands of The Bahamas to the Travel, Sports, Entertainment and Corporate sectors in Texas, Louisiana, Oklahoma and New Mexico. 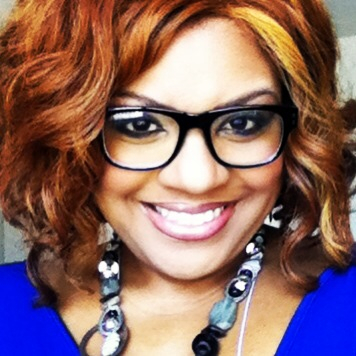 A member of several professional organizations including the National Academy for Record Industry Professionals (NARIP), The Grammys (Texas Chapter) and International Special Events Society (ISES), PJ runs Houston based DS3 Entertainment alongside her business partner Grammy nominated Producer/Engineer Donnie “Scantz” Scantlebury. DS3 Entertainment is an international full-service, collaborative music agency providing specialty services and brand consulting to entertainment related businesses, independent labels, bands, musicians, singers, songwriters and producers.